With summer just days away, more folks will be heading out to the beach. However, it hasn't been smooth sailing for everyone on the coast. 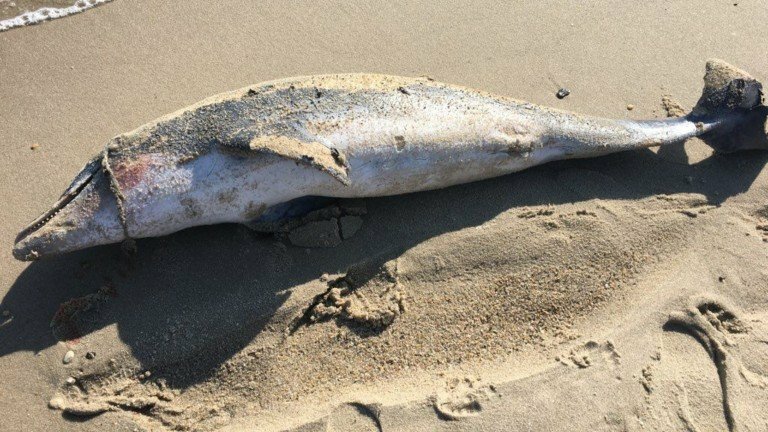 This year 13 dead dolphins have washed on to Delaware beaches. Marine officials say they usually see an average of 18 dolphins a year come on to the shore, but believe they are seeing a slight uptick this year with the current total. Officials from the MERR Institute say they are having a hard time pinpointing what is causing their death because of the conditions the carcasses are in when they wash up. "We need to get to it within 12 hours of death, that is really rare because often they die out at sea and takes time to wash in to shore. Even a moderately decomposed animal can possibly yield good results but most of what we're seeing are animals in advances states of decomposition… and there is very little left for us to sample," says Suzanne Thurman, the Executive Director for the MERR Institue. If you do see a dead dolphin or any type of marine animal on the beaches officials recommend that you immediately report it. Another tip, avoid any physical contact with the animal because they can transmit diseases.